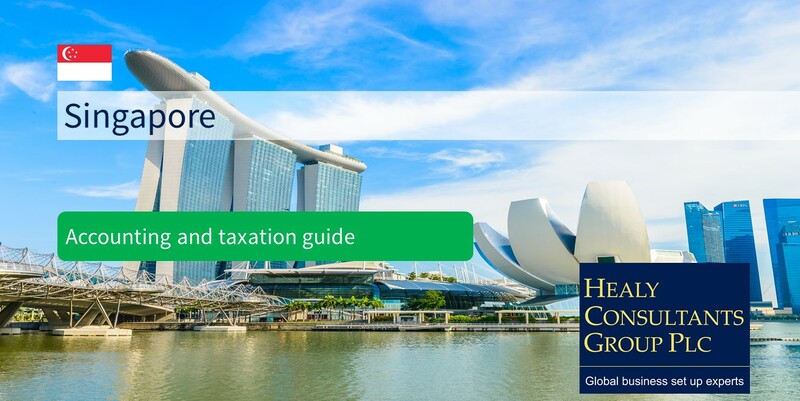 With more than 76 double taxation treaties, Singapore can be an excellent jurisdiction for certain businesses that would benefit from reduced global withholding tax. One of the most prominent advantages when operating a business in Singapore is the well-established taxation system. Over the past few years the tax system has evolved in many ways. Many repetitive steps to submit the tax documentation were reduced, thus minimizing the time to submit and review the quarterly tax reports to by the Inland Revenue Authority of Singapore. 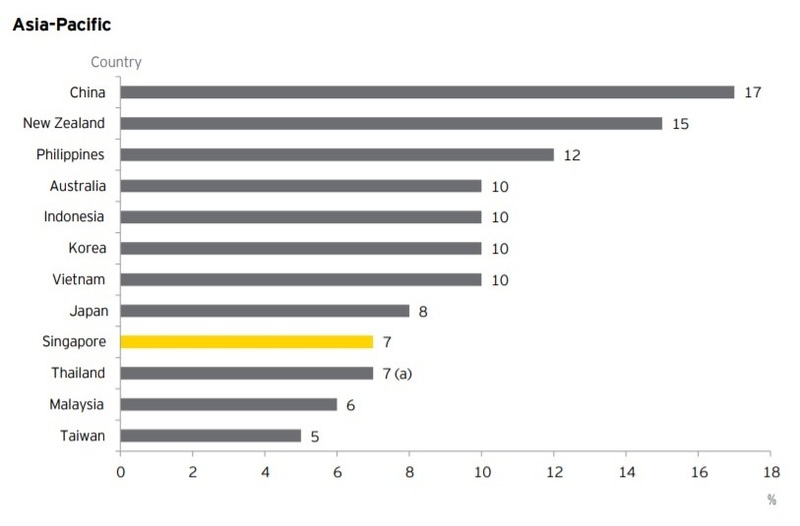 Moreover, according to PwC, Singapore is ranked seventh worldwide in ease of paying taxes and tenth for the shortest time required to complete the tax compliance process. Control and management of the company is not located in Singapore. Therefore, it provides an excellent way to book global income, with the luxury of no local corporate tax payable. Similarly, if the company’s management and control is exercised outside of Singapore and the company operations (operational premises, staff, etc.) are elsewhere, it is considered as an overseas entity and therefore tax exempt. Newly registered resident companies, if qualified, benefit from several tax rebates. In the first 3 financial years entrepreneurs enjoy a 100% tax exemption on the first S$100,000 (US$75,792) made and 50% tax exemption on the next S$200,000 (US$151,584) made before 2019. And later from year 2020 tax exemption will be calculated for the first S$10,000 as 75% and the next S$190,000 at a 50% rate. Active resident companies are required to register for goods and services tax (GST) if the annual sales exceed S$1 million (US$757,460). The company then needs to report its returns to the Singapore tax authority, IRAS. Provision of services i) by an online supplier to Singaporean customers ii) made outside of Singapore iii) which include services such as software sales, downloadable books and music. There is an annual tax report to be filed for each assessment year. The company needs to submit the chargeable income estimate within 3 months from the financial year end. The estimated tax can be paid in 10 installments throughout the coming 12 months. Thus, if the company wants to enjoy a maximum of ten-month interest free instalments they need to file the estimated chargeable income (ECI) forms by the 26th of the month. Some other taxes might be introduced soon by the Singapore government. One such example is the proposed carbon tax, which is thought to be implemented by 2019 and will be applied on large carbon emitters to reduce the greenhouse effect. The Accounting Standards Council was established to be the responsible of creating and managing the standards for corporate entities when preparing any official financial reports. This move was set to ensure the consistency in accounting standards, standardization of financial statements between different entities and enhancing the credibility and transparency of financial reporting. Those standards are known as Singapore Financial Reporting Standards (SFRS) and are based on the international reporting standards issued by Accounting Standards Council (ASC). However, if they do not apply for the SFRS, the International Financial Reporting standards (IFRS) is allowed in Singapore and companies that are eligible can apply for IFRS standards under the listing rules. The system insures that companies are informed of the past transactions, obligations and resources to be allocated for the future. Finally, the tax value is affected by many internal and external factors and the Singaporean tax rates are closely related to the internal government reforms and external overall international and financial climate. Many decisions are being made by the government to improve technology, education, infrastructure and health programs. Awareness of those reforms and changes are required when looking into engaging with the tax environment in Singapore. Therefore, it is advised to seek a professional and expert advice with knowledge of any changes and reforms. More information on these Singapore accounting and tax matters can be found on IRAS and ACS websites, and also on Healy Consultants Group PLC Singapore country webpage.